Do you want to feel as if you're in the middle of the battles of Stalingrad and Moscow? Then visit these 3D panoramic museums. The 15 x 115-meter painting shows one of the most important and bloodiest battles in history, but which failed to bring decisive victory to either side. Artist Franz Roubaud originally wanted to depict General Yermolov's heroic and successful counterattack that ended with the recapture of the Raevsky Redoubt. Surprisingly, Tsar Nicholas II disagreed because in 1912, when the painting was made, Russia and France enjoyed warm relations and the ruler didn’t want to ruin that. In this painting you see perhaps the most important engagement of World War II - the Battle of Stalingrad. The 16 x 120-meter artwork depicts a key moment that happened on Jan. 26, 1943 when two advancing Soviet armies fought their way against tough opposition to link up on the strategic heights of Mamayev Kurgan. With this successful operation, the already encircled German 6th Army was cut in two, and was soon picked apart and destroyed. The Red Army had achieved the first step in seizing the initiative in the war. 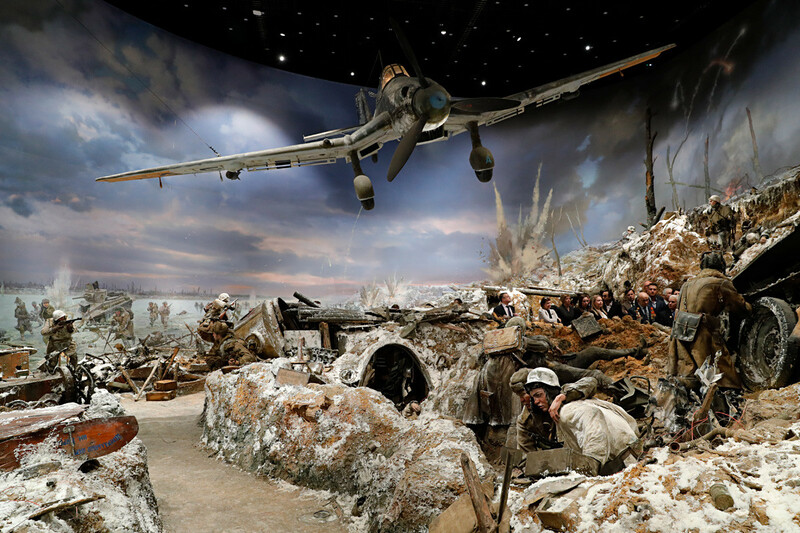 The Battle of Stalingrad 3D Panoramic Museum is a part of a huge complex in Volgograd (the current name of Stalingrad), which also includes the monument, “To the Heroes of the Stalingrad Battle,” as well as several thematic museums. 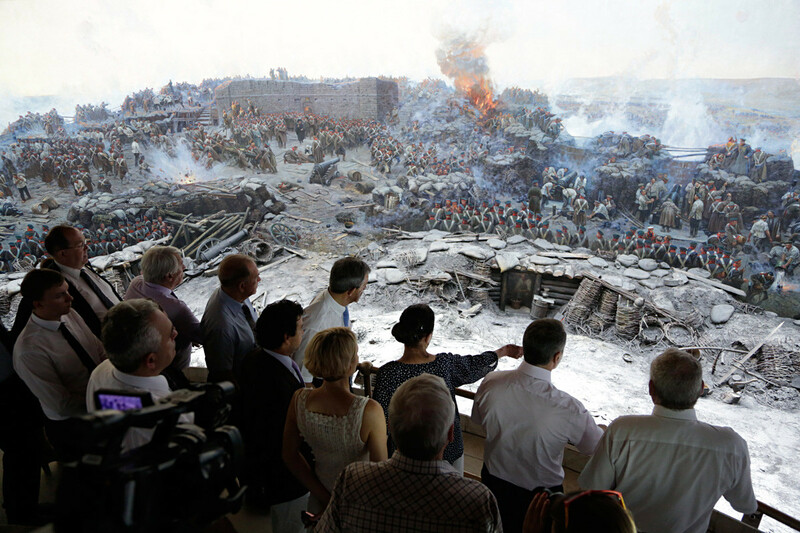 When entering the Sevastopol 3D Panoramic Museum, one is suddenly propelled back to the time of the Crimean War (1853-1856), when the Russian Empire fought a coalition comprised of Great Britain, France, the Ottoman Empire and the Kingdom of Sardinia. The painting, whose dimensions are 14 x 115 meters, depicts the 11-month siege of Sevastopol, known as the Battle for Malakhoff Redoubt. On June 6, 1855, the 75,000-strong Russian army heroically repelled an attack by the 173,000 strong British-French army in what was a bloody clash. During World War II, the painting survived by a miracle. German bombing left the panorama burning, and while the fire was extinguished in two hours the painting was evacuated from Sevastopol by one of the last ships to depart before the Germans entered. Although the ship successfully reached a safe harbor, several parts of the painting were lost when the vessel was partly flooded. In the end, about two-thirds of the painting was saved, but the remaining part was impossible to restore. 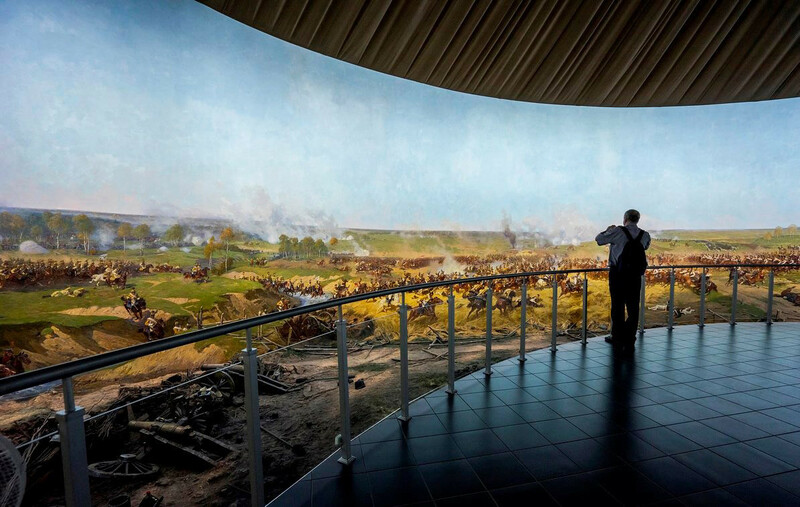 If you ever happen to visit Russia's Far East, the Battle of Volochayevka 3D Panoramic Museum should definitely be on your list. The 43 x 6-meter painting is devoted to a key Civil War battle, when an army of the pro-Soviet Far Eastern Republic crushed the opposing White Army in February 1921. This victory opened the way for the Reds to seize Khabarovsk and Vladivostok, and contributed much to the final defeat of the White movement in the Far East. 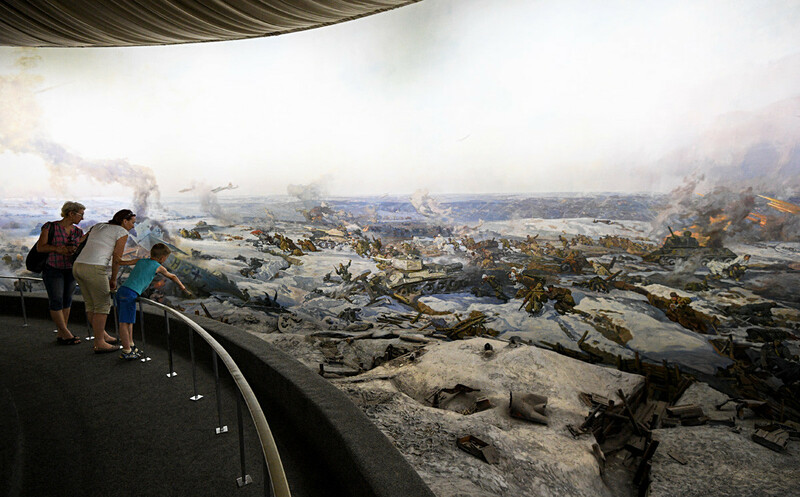 Russia’s newest 3D panoramic museum was opened in January 2018, and is dedicated to Operation Iskra (Spark), which broke the Siege of Leningrad. The panorama depicts the operation's key moment when on Jan. 18,1943, the 123rd Rifle Division and the 372nd Rifle Division broke through German defenses and linked up near the town of Shlisselburg. This is the day that the Siege of Leningrad was officially lifted. Visitors can go into trenches, see tanks, military equipment and dozens of replica soldiers. Many items (weapons, personal issues, ammunition, etc) were later discovered on the battlefield by archeologists and amateur search brigades.